'Islamic Development in Palestine' assesses the capabilities of an Islamic approach in aiding self-organisation by examining the case of the occupied Palestinian territories in conjunction with a comparative analysis of four other diverse nations. 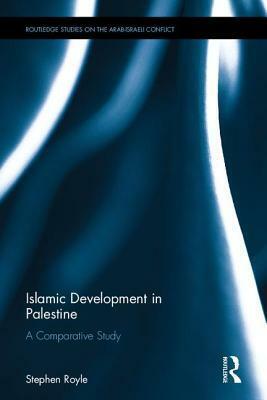 The book identifies and focuses on three main mechanisms of Islamic development; Islamic finance, Islamic Microfinance and Isla'Islamic Development in Palestine' assesses the capabilities of an Islamic approach in aiding self-organisation by examining the case of the occupied Palestinian territories in conjunction with a comparative analysis of four other diverse nations. The book identifies and focuses on three main mechanisms of Islamic development; Islamic finance, Islamic Microfinance and Islamic charity. Identifying the need to recognise the non-linear nature of societal interaction at the individual, community and state levels, the book turns to complexity theory as a solution to better understand development. It assesses the role of Islamic development at both macro and micro levels as it seeks to identify issues pertaining to rigid and hierarchical policy making in development. It also highlights the importance of local knowledge and the need to allow for sufficient freedom to emerge in support of a sustainable self-organised development process. Utilising complexity theory in a discussion of political-economics and development with regards to Islam and Islamic development, this book is of interest to students, scholars and policymakers working in Middle East studies, Islamic studies and development studies.